With an historic visit to Tuskegee University in Alabama, the Honorable Minister Louis Farrakhan continued his quest to inspire and enlighten another generation of Black people—and experience the special joy he gets from teaching young people. The Nation of Islam is known for not only its wisdom and discipline but also for affording young people the opportunity to come forward, learn and work for the resurrection, upliftment and deliverance of Black people and ultimately the world. At a time when many shun or condemn the young, the Minister continues to teach, train and provide needed tutelage and guidance. In Tuskegee, however, not only did the Minister deliver words of love, wisdom and passion, but students, the university president, political leaders and others embraced the man and the message. Their bold embrace of truth, despite threats and opposition, says something about what is needed in Black America and where we are ultimately headed as a people. To be free, a once enslaved people cannot accept and operate off of the vision and the training of their former slavemasters. To be free an enslaved people must reject the mental chains and dependency that comes with 400 years of captivity and constant efforts to subjugate and destroy. Those who have kept us as captives and as their property have delighted in keeping us ignorant and have delighted in having us follow their errant ways and falsehood. Anything that challenges their prevailing view and their desire to protect White Privilege and promote White Supremacy is seen as a major threat. White America seeks to reduce racism to a simple question of whether someone is liked or disliked when in fact the problem is the systemic and intentional deprivation of a people based on their skin color and the dominant group reaping benefit based on their skin color. The question of power and the ability to determine and control reality are hardly ever raised when Whites engage in such discussions. Talk turns to the racial composition of friends or whether the bedroom should be integrated, which are truly minor and foolish subjects. The full and complete freedom of a people is not measured by the ability to marry the daughter or son of a former enemy but by the ability of a once powerless people to exercise power and choices to determine their own destiny. Proper education is a major component of the march toward independence. “I am for the acquiring of knowledge or the accumulation of knowledge—as we now call it; education,” writes the Most Honorable Elijah Muhammad in his monumental book Message to the Black Man, originally published in 1965. “First, my people must be taught the knowledge of self. Then and only then will they be able to understand others and that which surrounds them. Anyone who does not have a knowledge of self is considered a victim of either amnesia or unconsciousness and is not very competent. The lack of knowledge of self is a prevailing condition among my people here in America. Gaining the knowledge of self makes us unite into a great unity. Knowledge of self makes you take on the great virtue of learning,” he continued. Followers of the Hon. Elijah Muhammad and Min. Farrakhan are not known for reveling in ignorance, nor folly. In the early days of the Nation, those who came unable to read learned to read and write and shook up the world: Minister Malcolm X was an example of how the knowledge of self is transformative. A onetime hustler and criminal became an unstoppable orator and analyst while armed with the Teachings of the Honorable Elijah Muhammad, a man who only went to the fourth grade in school. Louis Farrakhan, who attended college and did not graduate, met with prime ministers, bankers, college officials and top educators during his recent trip to the Caribbean. With most educated in the United States, they shared how hearing his words and teaching in America impacted their lives and helped propel their success. It is time that we accept the challenge for ourselves and our future and the leadership in Tuskegee, in the university community and broader community, have given us a great example that is worthy of our gratitude, respect and they deserve our support. 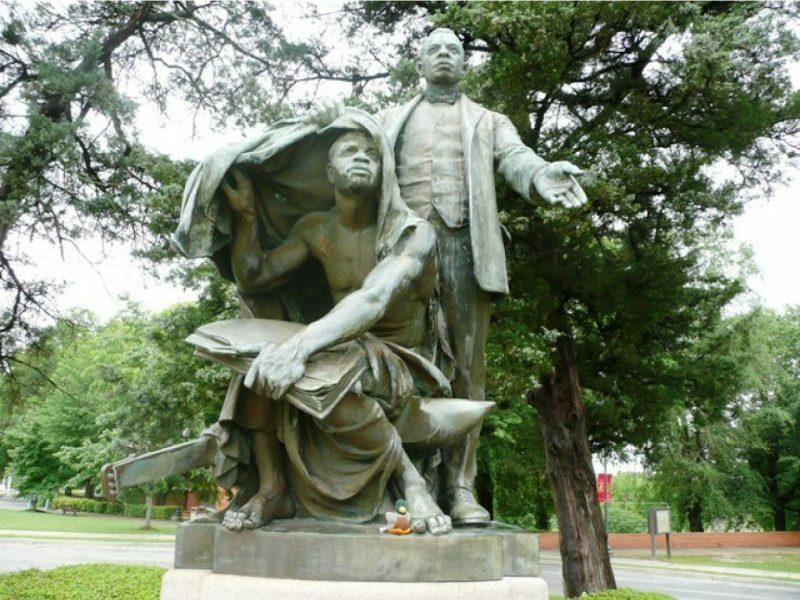 What happens if Tuskegee’s response becomes the response of historically Black colleges and universities across the country?